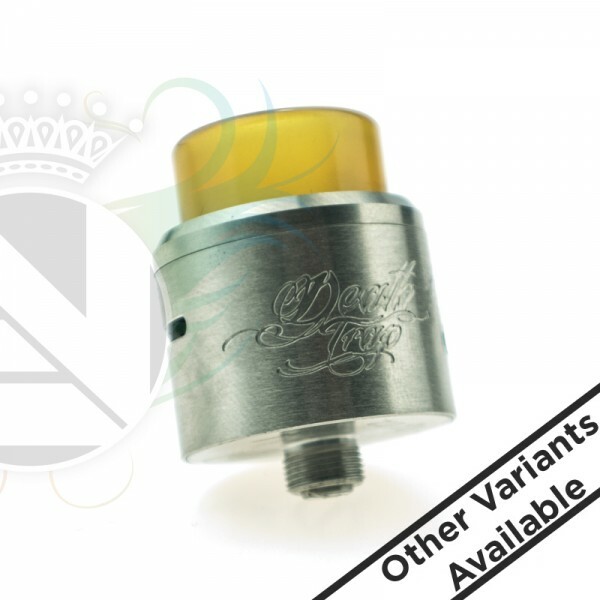 By popular demand, Deathwish Modz is proud to introduce the Deathtrap 24, the smaller-sized RDA modeled on the Deathtrap 30mm. With the same unique deck you loved on the Deathtrap 30mm RDA, this adjusted model will now sit flush on most squonk boxes and tube mods! With the included BF pin (and a regular 510 pin), you'll be benefiting from the amazing deck space of the Deathtrap with the steady flow of the squonk bottle! Comes with a custom wide-bore Ultem drip tip and accessories. 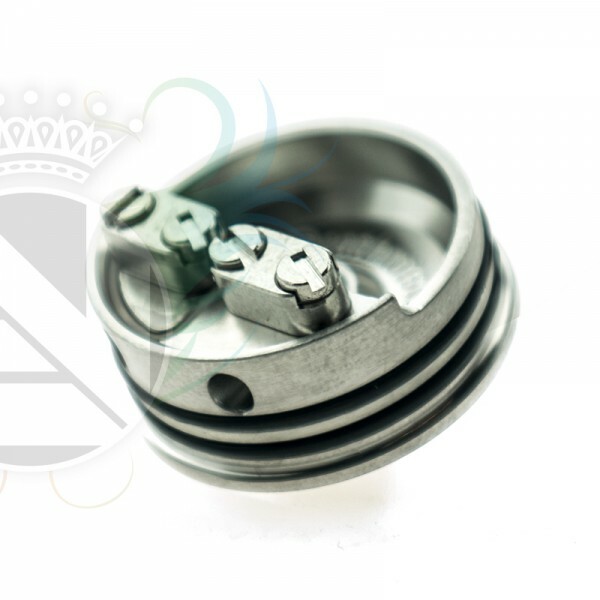 Available in the same finish than the Deathtrap 30mm RDA (stainless steel and gunmetal).